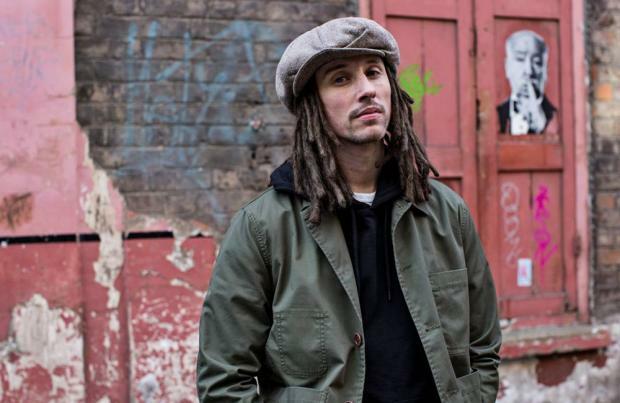 JP Cooper has revealed he has written a song with Stormzy which is "coming soon"
JP Cooper has a collaboration with Stormzy which is to surface "soon". The 'September Song' hitmaker has revealed that he and the 23-year-old grime superstar - whose real name is Michael Omari - have been in the studio together and explained despite several people claiming they'd already worked together they have only just completed the track. Speaking exclusively to BANG Showbiz, JP - whose real name is John Paul Cooper - said: "The funny thing is there were a few plans to collaborate on a song. And a lot of people said we've collaborated on a song but it never actually happened. JP - who shot to fame by providing the vocals to Jonas Blue's 'Perfect Strangers' - recently unveiled his next single 'Passport Home' and insists he didn't feel any pressure to make the song bigger than his top 10 single 'September Song'. Asked if he feels the need to beat the success of the 2016 hit, he said: "A few people have asked me this. Not really, I mean I know that I'm sitting on an incredible album. "You know we have so many amazing songs on there and so many amazing singles but you know the success of 'Passport Home', it'll be what it'll be. "There definitely isn't any pressure from the label, there definitely isn't any pressure that I've put on myself, the only pressure that I've put there is to continue writing good, honest music. "Right now, I don't feel any pressure as long as the people supporting me continue to connect with what I am doing, then I am happy."